I f you walk the halls of the lively School21 in London’s Stratford neighborhood, you easily might hear dozens of languages being spoken. Many of the school’s more than 1000 students have immigrated from other parts of the world, and as such, enter their grade levels with varying degrees of experience with English. In this intensely diverse environment, it might be challenging to meet every student’s academic needs; thankfully, the students share a common lexicon when it comes to Project Based Learning, and new arrivals are quickly brought into the fold by their peers and teachers. and the production of a quality end product. 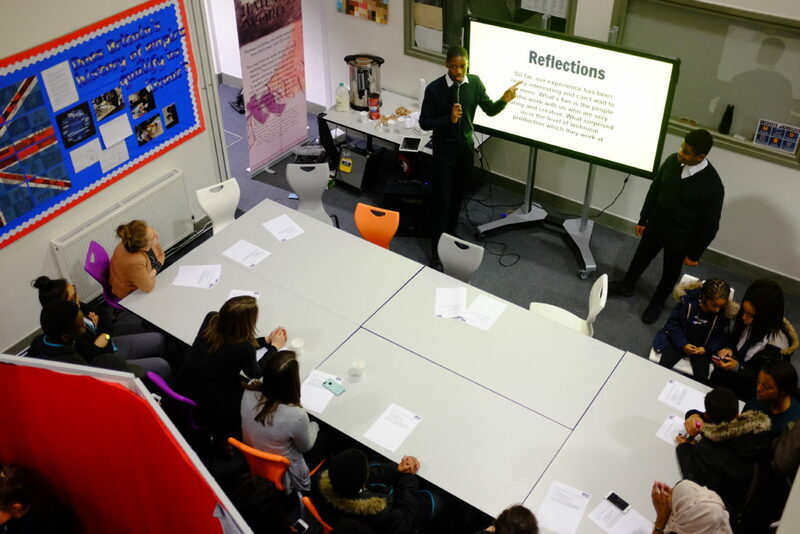 What transpires from this approach is something that Anna Kyrk, head of the school’s curriculum development and Project Based Learning, calls a learning journey—one that she notes has removed barriers for students of all backgrounds. 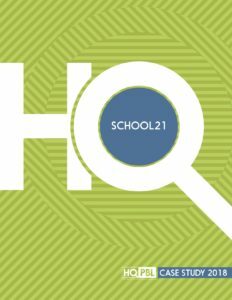 It isn’t difficult to see the strong correlation between the students’ remarkable ability to advance and School21’s project-based environment. Whether a child has grown up through the program or recently been introduced to it as a transfer student, each is able to meaningfully participate and witness their actions making a tangible impact in real time. Kyrk recounted a recent project that involved a trip to London’s South Bank, where students conducted a street performance, “busking,” as it’s commonly called, to raise money for a children’s charity. The students planned and produced the performance, gaining knowledge in the course of their project of life during the industrial revolution—a time when kids in poverty had far fewer educational options—yet their resourcefulness and resilience is echoed in the students of today.